Griseofulvin is an antifungal drug that is effective against fungi that infect skin, nails and hair. It is not effective against infections caused by bacteria or other kinds of fungal infections. Griseofulvin is taken orally and works by preventing fungal reproduction. It is effective in protecting new skin and new hair growth from infection, but will not clear infection from hair or skin cells that are already affected. For that reason, griseofulvin needs to be given for several weeks until the infection has completely resolved. Fungal skin infections are frequently called “ringworm” because of the circular shape of the infected area. Young animals and animals with problems of their immune system are more likely to develop ringworm. Ringworm is highly contagious and may spread between animals and to humans. Interestingly, cats can have a sub-clinical infection (one that shows no outward signs) and be silent carriers. In this case, the infection is only discovered when a human or another animal develops ringworm. If you suspect that your pet has a ringworm infection, you will need to discuss with your veterinarian how to manage it in order to prevent spread or reinfection. 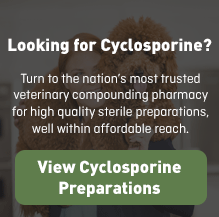 Griseofulvin is FDA approved for use in horses but it is not available from a veterinary pharmaceutical manufacturer in sizes that are appropriate for dogs, cats, or small mammals. Instead, it is compounded by a specialty pharmacy. Give this medication to your pet exactly as your veterinarian prescribes. 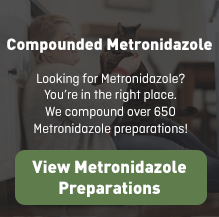 If you miss giving your pet a dose of griseofulvin, give the next dose as soon as you remember or, if it is close to the next scheduled dose, return to the regular schedule. Do not double dose in order to catch up. When possible, give griseofulvin with a fatty meal to enhance absorption. Cats are more prone to side effects than other species. In dogs and cats, the most common side effects are disturbances of the digestive tract, including loss of appetite, vomiting and diarrhea. Rare side effects include serious blood problems, such as anemia, bone-marrow suppression or changes in blood counts; liver problems; weakness or changes in coordination; and sensitivity to sunlight. Animals with very thin coats or fair skin should stay out of the sun while on this drug. Be sure to discuss with your vet how to prevent reinfection and spread of infection to other animals or people in the household. 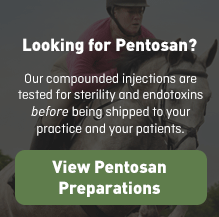 There are few reported side effects from griseofulvin use in horses. Keep this and all drugs out of reach of children. Griseofulvin is a prescription drug and should be used according to your veterinarian’s directions. It should only be given to the animal for which it was prescribed. Do not give this medication to a person. 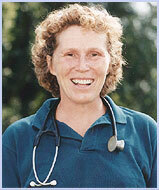 Griseofulvin should be avoided during pregnancy, in nursing animals, and in breeding animals, regardless of species. It has been shown to cause birth defects in cats and it may also affect sperm production. Griseofulvin should not be used in animals with liver problems. It should be safe in older animals if liver function is normal. Kittens are more sensitive to griseofulvin than adult cats and should be monitored carefully. Griseofulvin can cause severe bone-marrow suppression, especially in cats. Cats with Feline Immunodeficiency Virus (FIV) or Feline Leukemia (FeLV) should not be treated with griseofulvin. These drugs may interact with griseofulvin: alcohol, aspirin, phenobarbital, theophylline, and some of the oral blood thinners like warfarin. Different strengths or dosage forms of griseofulvin may have different storage requirements. Read the labeling or ask your pharmacist for the storage requirements of the prescription you receive.